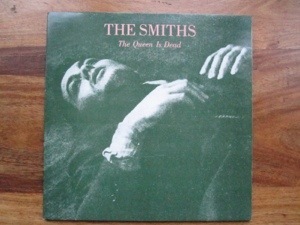 Received wisdom was that The Queen is Dead is The Smith’s greatest album. It’s a great album. But not their greatest. That would be Strangeways Here We Come. It’s true. Morrissey and Marr agree with me. But I only have that on CD and cassette so it’s excluded (at least for now) from this blog. Nevertheless, this is still an “all killer no filler” kind of record. I played this copy the other day when some friends visited, and provided a talking point while the kids ran about the rest of the house. It struck all of us that there just isn’t a duff track on here. Even the one person who didn’t really like The Smiths grudgingly agreed.